It’s not known exactly what factors govern this constant minimum, but this is an interesting finding as Phys.org reports. In Japan, continuous four-frequency solar microwave observations (1, 2, 3.75 and 9.4 GHz) began in 1957 at the Toyokawa Branch of the Research Institute of Atmospherics, Nagoya University. In 1994, the telescopes were relocated to NAOJ Nobeyama Campus, where they have continued observations up to the present. A research group led by Masumi Shimojo, assistant professor at NAOJ Chile Observatory, including members from Nagoya University, Kyoto University, and Ibaraki University, analyzed the more than 60 years of solar microwave data from these telescopes. They found that microwave intensities and spectra at the minimums of the latest five cycles were the same every time. In contrast, during the periods of maximum solar activity, both the intensity and spectrum varied from cycle to cycle. The sun goes through a cycle of active and quiet periods approximately once every 11 years. 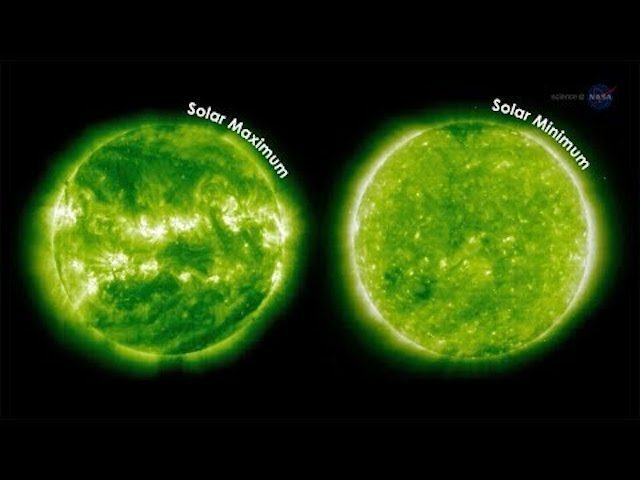 This “solar cycle” is often associated with the number of sunspots, but there are other types of solar activity, as well. 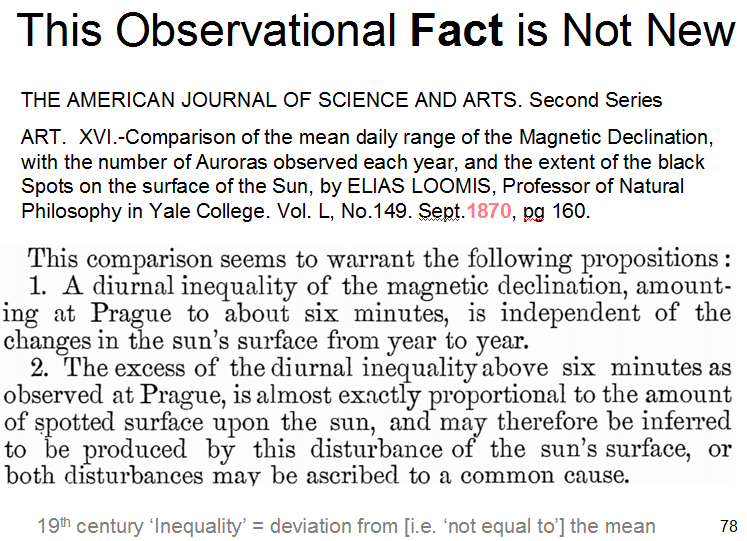 So simply counting the number of sunspots is insufficient to understand the solar activity conditions. Microwaves are another indicator of solar activity. Microwaves, unlike sunspots, can be observed on cloudy days. Also, monitoring multiple frequencies of microwaves makes it possible to calculate the relative strength at each frequency (this is called the spectrum). Source: Solar minimum surprisingly constant | Phys.org. Interesting, but, i thought solar science was “settled science”, the 1 in earth heating. Now they are trying to tell me, that like I learned in the 60’s, that we live next to a variable star? And we can watch it! ” cause” it “ain’t” the same daily! Oh my! The total solar fluxes at 1, 2, 3.75, and 9.4 GHz were observed continuously from 1957 to 1994 at Toyokawa, Japan, and from 1994 until now at Nobeyama, Japan, with the current Nobeyama Radio Polarimeters. We examined the multi-frequency and long-term data sets, and found that not only the microwave solar flux but also its monthly standard deviation indicate the long-term variation of solar activity. Furthermore, we found that the microwave spectra at the solar minima of Cycles 20–24 agree with each other. These results show that the average atmospheric structure above the upper chromosphere in the quiet-Sun has not varied for half a century, and suggest that the energy input for atmospheric heating from the sub-photosphere to the corona have not changed in the quiet-Sun despite significantly differing strengths of magnetic activity in the last five solar cycles. The reconstruction suggests that the EUV flux reaches the same low (but non–zero) value at every sunspot minimum (possibly including Grand Minima), representing an invariant ‘solar magnetic ground state’. Hayes and her colleagues used a model to determine just how much the electron density changed during the flare. In response to incoming radiation, they found the density increased as much as 100 times in just 20 minutes during the pulses—an exciting observation for the scientists who didn’t expect oscillating signals in a flare would have such a noticeable effect in the ionosphere. With further study, the team hopes to understand how the ionosphere responds to X-ray oscillations at different timescales, and whether other solar flares induce this response. The fact that EUV reaches a minimum is interesting, it would be more ntrsting to know if it drops below that during grand minima, though if it did it might not mean much as I suppose the energy input of EUV to the earth is not a significant contributor to ocean heat content. Leif, good to hear from you. Also glad to see Leif here. I was going to point out he has been saying there is a common floor for solar cycle minima long before the referenced study. Of course the Sun does have variability, as each solar cycle is of a different length (within limits) and sunspots and solar flares, for example, are irregular. And soon got the ‘not new’ message from Dr S. (see above).